In this crime drama, a former FBI agent is called out of retirement to help track down an escaped serial killer whom he helped capture years earlier. Now, the fugitive killer is recruiting other killers to help him carry on his dastardly work, elevating the urgency in stopping him. Kevin Bacon stars. In the second part of the season finale, suspicions rise, alliances are disturbed and everyone is in danger. 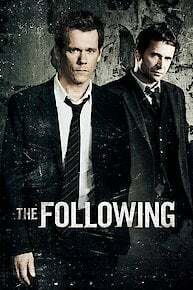 In the first part of the season premiere, the FBI searches for Theo and some of their own risk everything when they are attacked. Ryan becomes more and more reckless as he continues his search for Theo. An increasingly reckless Ryan continues his search for Theo, as Mark and Daisy discover information that leads them closer to the FBI than ever and puts Mike in a dangerous situation. Ryan struggles with recent events, sending him into a downward spiral. On the day Joe Carroll is to be executed, a hostage situation evolves and Ryan must enter the facility alone. Ryan finds himself being tracked by the new elusive killer and a game of cat-and-mouse begins. The FBI closes in on a suspect whom they believe to be the culprit behind the latest murders, but Ryan believes the killer is still out there. Ryan and Mike re-focus on a new threat with only a few days before Joe Carroll's execution. Ryan and Mike follow a tip that leads them to a small town to investigate and confirm he isn't seeking protection. Mark, Kyle and Daisy work on their plan to attack Ryan while the FBI is given a tip which leads them to a secret location and helps them with the case. On the day of the trial, the FBI has to search for a missing person. With the team split up, Ryan seeks assistance from a previous enemy. Tensions arise among group members when Mark questions the loyalty of Kyle and Daisy. Tension between Mark, Kyle and Daisy rises, putting Ryan in a dangerous situation. In the third season premiere, Ryan's newly discovered happiness is destroyed when a series of brutally staged tableaus force him and his team to untangle a twisted web of violence. Mark and Luke turn on Ryan Hardy and Joe Carroll, making the two sworn enemies come together, so they can save the woman they're in love with. Ryan and Mike try to stop Joe Carroll from pulling off his final plan which would put many innocent lives in danger. After the media criticizes Joe and his followers, Joe targets the son of a man who defies him. Meanwhile, Ryan is faced with the shocking news of Claire's reappearance and Mandy makes a decision that could ruin all that Joe has worked for. As his power increases over the Korban cult, Joe puts a deadly plan in motion using new acolytes to carry out his demands. Meanwhile, Ryan and Max plot to contact Joe, in hopes of finding him, and Weston meets with a face from the past. Ryan, Max and Weston continue to move closer to identifying the mole within the FBI--which results in complications of its own. Meanwhile, Joe and Micah put their plan in motion that threatens the Korban cult in order to announce a message to Ryan and the world. Ryan makes an attempt to find the man who mentored Joe while Joe and his followers try to adjust to the lifestyle in their new home. Ryan and the FBI continue their search for Lily Gray, but take a new direction when Max is threatened. Joe, Emma and Mandy arrive at their latest hideout, but quickly realize something is wrong. Ryan and Max contact the FBI for back-up, but Weston doesn't agree, leading to a standoff between good and evil. Meanwhile, Joe's new relationship escalates into uncharted territory, and Luke finds himself in rough waters. Ryan and Max attempt to makes sense of the details of the case and stay two-steps ahead of the FBI, despite Weston's constant warnings to stay out of the way. Meanwhile, Emma becomes even closer to Mark and Luke, while Joe and Mandy meet up with a follower who needs help. Ryan is tireless in his search to find the connection between the recent tragedies in New York City and Emma and the existing members of the Havenport cult. Meanwhile, the FBI becomes increasingly aware of his undercover agenda. In the second season premiere, Ryan puts up a front to make it look like he has his life in order, but inside his obsession with Joe continues to grow. Ryan Hardy is desperate to stop Joe Carroll before his endgame becomes deadly. Meanwhile, Joe leads Claire to a special location and the ultimate showdown between good and evil ensues. Hardy, Parker, and Weston prepare to infiltrate the follower's mansion, but Joe Carroll already has an escape plan in action. Meanwhile, disguised followers create a diversion at the town evacuation center, which creates chaos. The Havenport Police Department are dragged into the case when Roderick's role as sheriff is called into question, leading him to make an unexpected decision with dangerous consequences. What's New Tonight: Monday, April 15th. What's new tonight? "The Following", "Bates Motel", "The Voice", and more! Which of these shows are you most looking forward to watching? Ryan and the FBI discover a follower who has the potential to lead them to Joe Carroll's location. Agent Weston returns to the case but his encounter with the cult may have had a bigger impact on him than anyone originally thought. Meanwhile, Claire and Emma come face-to-face for the first time since Joey's kidnapping. Ryan and Parker deal with the consequences of losing Claire to Joe's followers. Hardy and Parker make a shocking discovery. Joe Carroll sends three followers to capture Claire, but Ryan Hardy seems to be one step ahead. With Weston still in the hospital, Hardy and Parker attempt to outsmart their new leader Donovan. In a surprising move, Joe reaches out to Hardy to demand Claire's location and reveals that he will go to great lengths to lure her out of FBI custody. Meanwhile, followers from the past make a shocking return. The Following is currently available to watch and stream on FOX. You can also buy, rent The Following on demand at Amazon, Vudu, FandangoNow, Google Play, iTunes online.